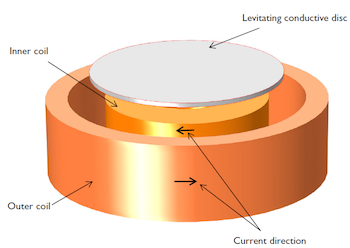 Electrodynamic magnetic levitation can occur when there are time-varying magnetic fields in the vicinity of a conductive material. 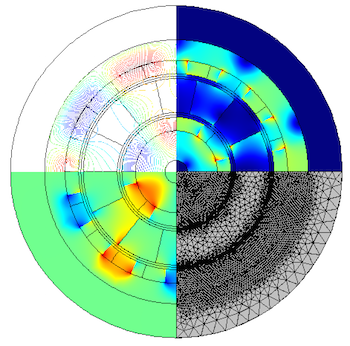 In this blog post, we will demonstrate how to model this principle with two examples: a TEAM benchmark problem of an electrodynamic levitation device and an electrodynamic wheel. 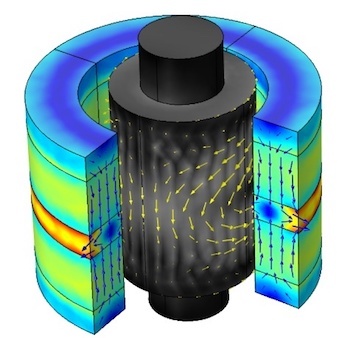 In this blog post, we work through the three-phase induction motor described in Testing Electromagnetic Analysis Methods (TEAM) workshop problem 30a. 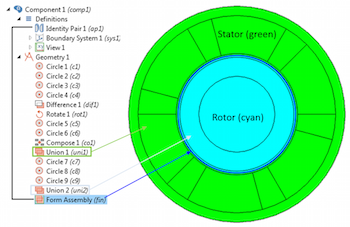 We analyze the induction motor in 2D using the transient solver in the Rotating Machinery, Magnetic interface. We investigate the motor’s start-up dynamics by coupling the electromagnetic analysis with the rotor dynamics, including the inertial effects. 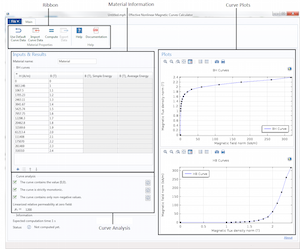 At the end, we compare the benchmark model’s results with those from the COMSOL Multiphysics simulation. 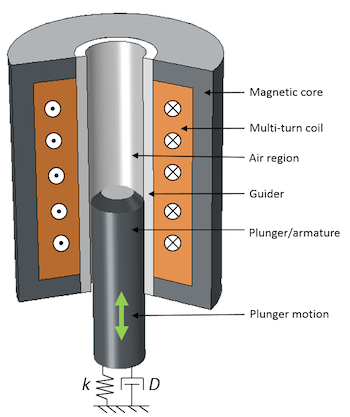 An electromagnetic plunger is an electromechanical device that converts electrical energy into a linear mechanical motion. This motion can be used to move an external load such as closing electromagnetic valves and closing or opening electromagnetic relays. 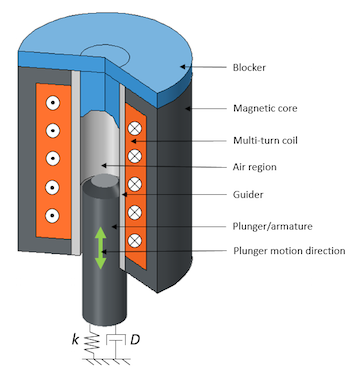 In this blog post, we introduce a procedure to model the behavior and dynamics of an electromagnetic plunger that consists of a multi-turn coil, magnetic core, nonmagnetic guider, and magnetic plunger. 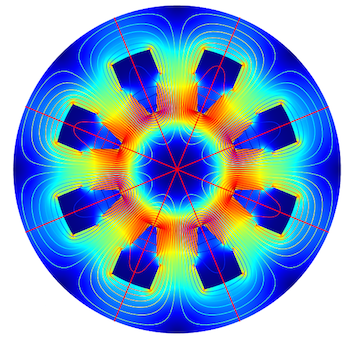 In a previous blog entry, we showed you how to model rotating machines, like motors and generators, using the Rotating Machinery, Magnetic interface in COMSOL Multiphysics. Today, we will demonstrate the steps we outlined with a 3D generator model example, comparing our results with an analogous 2D model. The concepts of sector symmetry and periodic boundary conditions, including examples illustrating their use, are also highlighted. The Rotating Machinery, Magnetic physics interface available in the AC/DC Module is used to model rotating machines such as motors or generators. When modeling the linear or tubular device with the Magnetic Fields and the Moving Mesh physics interfaces, it is appropriate to use a customized linear periodic boundary condition. In this blog post, we will explore how to customize the linear periodic boundary condition and model the tubular generator that is used for wave energy. In the previous part of our Electromagnetic Device series, we showed you how to model a linear electromagnetic plunger attached to a spring and damper and compute the position, velocity, and electromagnetic forces. Here, we will demonstrate an actuator that includes a blocker/stopper to restrict linear motion. We will also discuss how to model the contact and release of this actuator using the Events, Magnetic Fields, Moving Mesh, and Global ODEs and DAEs interfaces. The nonlinear magnetic saturation curves in the AC/DC Module’s Nonlinear Magnetic Materials Database can now be used in frequency-domain simulations using COMSOL Multiphysics version 5.2. You can now convert the associated B-H or H-B curve, which was previously supported only for stationary and time-dependent studies, into an effective B-H or H-B curve using the newly added Effective Nonlinear Magnetic Curves Calculator app. 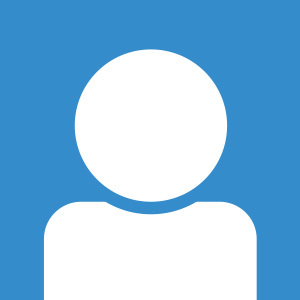 In this blog post, we will discuss how this app is used in frequency-domain simulations. Magnetic bearings are used in many industrial applications, including power generation, petroleum refinement, turbo machinery, pumps, and flywheel energy storage systems. Unlike mechanical bearings, these types of bearings support moving loads without physical contact through magnetic levitation. Valued for their frictionless operation and ability to run without lubrication, magnetic bearings are a low-maintenance alternative to mechanical bearings with a longer lifespan. 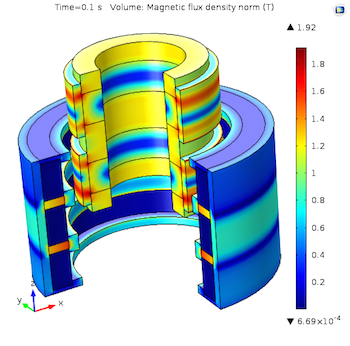 Learn how to calculate design parameters like magnetic forces, torque, and magnetic stiffness using the COMSOL Multiphysics® software.